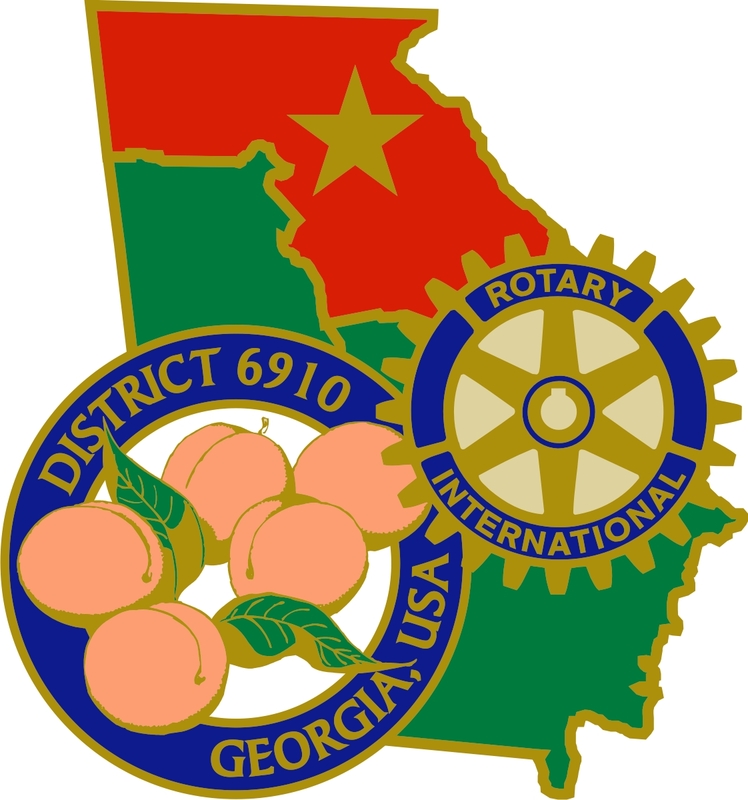 Rotary International President Ian H.S. Riseley made the case last year that protecting the environment and curbing climate change are essential to Rotary’s goal of sustainable service. “Environmental degradation and global climate change are serious threats to everyone,” Riseley said. “They are having a disproportionate impact on those who are most vulnerable, those to whom Rotary has the greatest responsibility.Yet environmental issues rarely register on the Rotary agenda,” he said. So, Riseley challenged all 1.2 million Rotarians around the world to plant a tree before Earth Day on April 22, 2018. According to Riseley, “The greater result will be a Rotary that recognizes our responsibility not only to the people on our planet, but to the planet itself." Trees are engines for economic development providing high nutrition foods for humans, animals, wildlife and insects, sustainable building materials and fuel, canopies in urban areas to cool, reduce energy use, absorb pollution and increase property values. Trees also protect our environment and increase ground water recharge, prevent runoff and loss of soil, create habitat for wildlife, produce oxygen, use carbon dioxide thus improving public health and slow global warming by storing carbon. In acceptance of the challenge by the RI President, the Rotary Club of Greene and Putnam Counties last week, planted an orange glory maple tree at Lakeside Church and together with the Interact Club of Gatewood Schools planted an eight-foot dogwood and six dogwood saplings at the Briar Patch Walking Trail, The Butterfly and Blooms Garden in Eatonton. 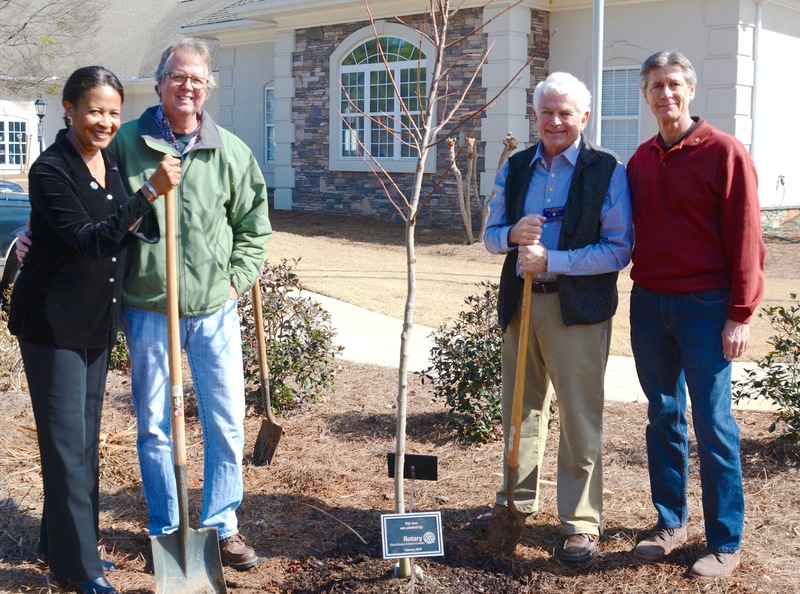 In addition, each Rotary Club member received a dogwood and wax myrtle seedling to be planted at their homes or businesses. 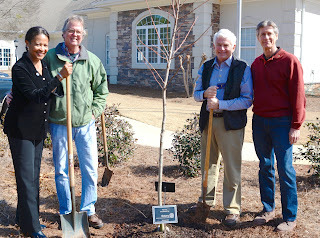 The Rotary Club of Greene and Putnam Counties is grateful for the support of Steve Noles and Blake Noles of Noles Landscaping who donated the trees at Lakeside and at the Briar Patch Walking Trail, The Butterfly and Blooms Garden and to Rent Sanders from the Walton County Unit of the Georgia Forestry Commission who donated the dogwood and wax myrtle seedlings.